If you thought you’ve seen everything in the water-saving technology, think again. Among the latest green advances in bathroom technology you can find this energy-efficient toilet where water can be reused twice. 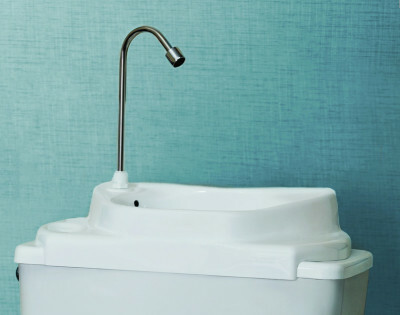 After several rounds of government-imposed water-saving toilet model attempts to save water, one manufacturer has come up with a most ingenious way to save on that overhead expense that every business needs – water use. 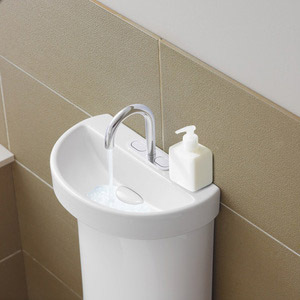 Furthermore, as used hand-washing water goes down the drain’s basin, it goes directly into the water-saving toilet tank making it ready for the next flush. All used water comes out fresh and clean from the toilet tank’s filtering system. As the toilet’s bowl does not experience any compromise that would present sanitation or health-related issues, a totally sustainable-green system is put into place. These particular Caroma models have a 4-inch extra-large trap making them more practical and less prone to clogging than other standard toilet models. 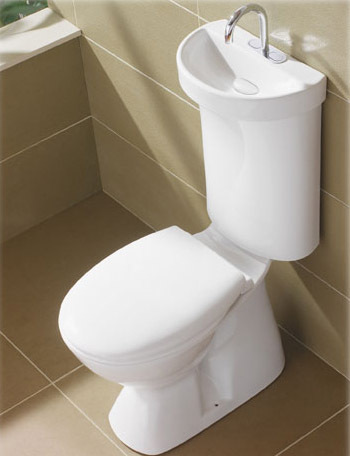 Coming with stylish chrome buttons built into the tap design, this unique high performance smart toilet system is easily installed with minimum effort. The Caroma Profile Smart is the winner of Popular Mechanics “Product Breakthrough” award for innovative design and engineering. 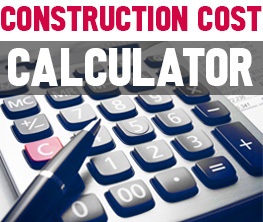 The WaterSense toilet system, labeled as being high energy efficient toilets (HET), basically saves by only using 1.28 gallons per flush as opposed to the older 1.6 gallon per flush capability. In all, there is about a 20 percent savings in water consumption in these lab-tested WaterSense (HET) models. 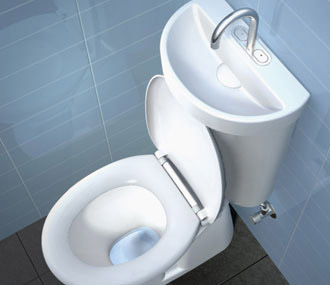 Other water saving toilet models become available as well. 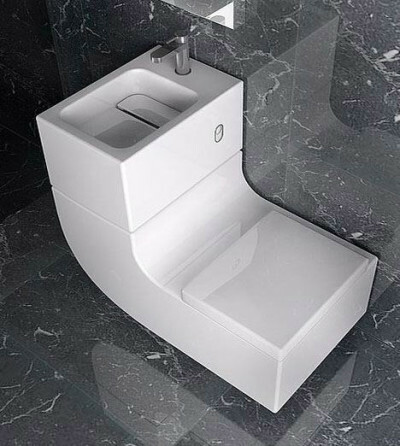 SinkPositive company offers modified version for your existing toilet tank cover which turns it into a sink as well.